When I came home from the park, our entire hallway/stair area smelled of pure greatness! I saw a package sitting at my door step and of course was excited to open it. Black Rose Bath sent me a sampler pack of lots of their items! And while I didn't love the scent, the aromatherapy relaxation bar has a very unique look to it. It is all personal preference. The product itself is great. I prefer fruity scents (like the lemon verbena, yum! ), not perfumed scents. If you like stronger scents, I'd try the aromatherapy relaxation bar (pictured below). 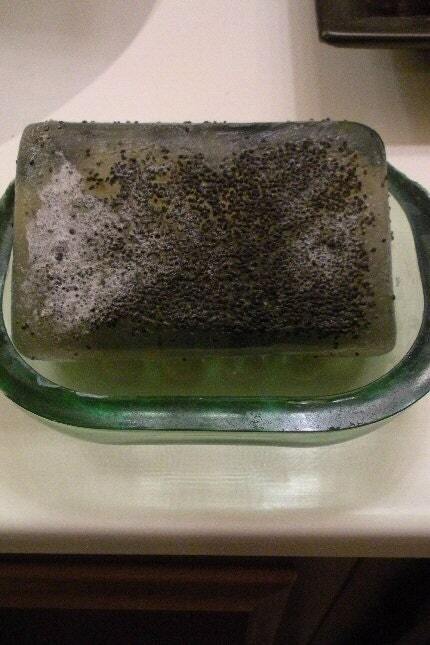 If you like more natural scents, the plumeria glycerin soap is perfect. If you are looking for a great soy candle, I definitely recommend this shop. I have my eye on the dark chocolate one. If you are looking for a pretty soap for the guest bathroom, try the aromatherapy and relaxation soap, or the lavender aloe vera bar. 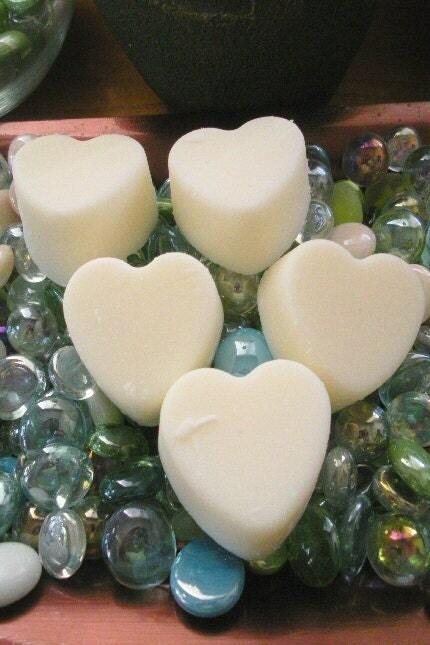 If you are addicted to soy melts like I am, try the aromatherapy soy melts. Good: The prices are very fair, as is shipping. They even have a $1 soap section! Bad: Some of the scents are very strong, so you might want to ask her before ordering if you are sensitive to certain ones. Stalk Black Rose Bath on: Facebook, Etsy, Blogger, and Twitter and let them know 3G sent ya! Post about it on Twitter, Facebook, and/or your blog. Giveaway ends 4/4/11 -- Check out all current giveaways on the right-hand side of our blog. Would love to win some yummy smelling soap!!! I am a blog follower!!! AND I LOOOOOVE IT!!! "liked" them on Facebook.... so many things sound so yummy smelling! I "<3" them on Etsy... you need to find some really bad products to review so my husband won't choke me for wanting to buy so much stuff! LOL! I am now a Black Rose Bath blog follower.... that's a mouthfull!